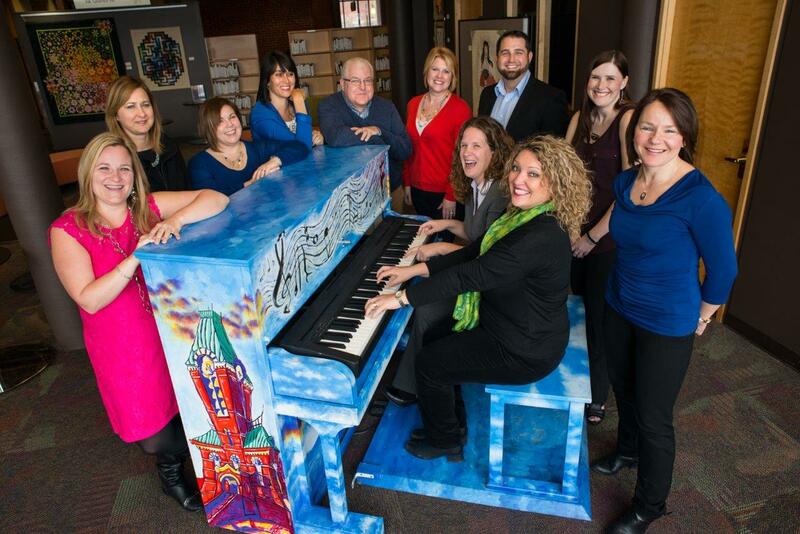 Wake up from your hibernation and make the trip down to one of Fredericton’s many markets this winter! Whether you need to stock up on weekly groceries, or it’s time to tend to that dreaded holiday checklist – here are some of the many talented vendors you might not want to miss on your next visit to the Fredericton Boyce Farmers’ Market. Make a stop at From Scratch Bakery to pick up some fresh, homemade bread produced, well, from scratch! Friendly vendor Georgina Gere brings family recipes all the way from Germany and years of bread-making experience to her stall at the Boyce Farmers Market. Each loaf is carefully crafted with quality ingredients and passion in the three-day process it takes before they hit the market. Make sure to taste one of the delicious scones, which customers say are a must-try! The Coburn family has 212 years of apple farming behind them, and has been selling at the market for 4 whole generations! 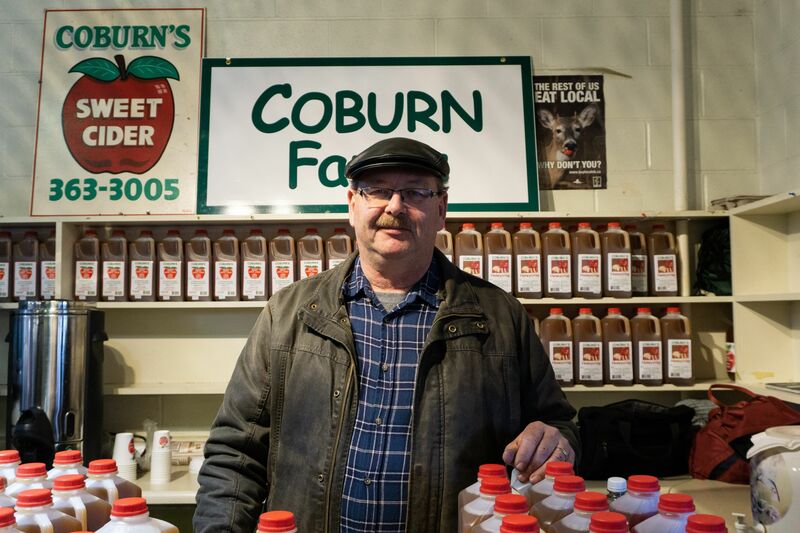 Whether you like it hot or cold, Coburn Farms’ apple cider is sure to hit the spot. With 15 varieties of apples on their farm, each batch contains at least three different varieties. Plus, cider isn’t all they’ve got in store! You can also get your hands on some cran-apple cider and apple syrup, maybe a new addition to your family’s traditional holiday meal? Practice your French with this next vendor, who formerly organized events for the King of Belgium! However 7 years ago, Didier Laurent found his true calling on a goat farm in Rexton, NB. He now raises his own goats, horses, chickens and cows, and takes pride in selling his artisanal goat cheese at the market. He’s got every flavor from cranberry to seaweed, so you’ll be asking for “more cheese, please!” to complete your next cheese platter this holiday season! What better place to look for gift ideas than your local farmers market! Eclectic Collection is a talented sister-duo that crafts handmade dolls, unique hand-sewn bags, creatively crochet’d stuffed animals, hats, and more! Their products are made from recycled materials whenever possible. You can place a custom order to have a doll made to resemble your child’s features – wouldn’t your little one just love their very own mini-me? Let Teresa Michaud and her team of 70 angora goats provide you with mohair socks and mittens to help you brave the cold! Mohair is known to be extra warm and soft and the perfect way to keep you feeling cozy this season. Got a crafter on your list? Her hand-spun yarn also makes the perfect gift! And don’t forget the goat milk soap – a great stocking stuffer! Calling all Kombucha cravers! This young entrepreneur is perfecting the fermented tea beverage process one small batch at a time. Danielle Black uses primarily local ingredients, with high quality naturally flavoured teas. Her regulars say the kombucha tastes better here than with commercial brands! You might just have to try this one out for yourself. Find anything you like? Well there’s more where that came from! The Fredericton Boyce Farmers Market is home to over 150 amazing vendors, so you’re sure to find something special to spice up your holidays this coming winter. Stop by on Saturdays from 6am to 1pm, we wish you some happy shopping!